Unless I am constantly moving I don’t believe I am productive. After all, Sir Isaac Newton said, “An object in motion stays in motion.” If I were to stop for a moment, I have this unrealistic belief the entire world around me would collapse. This constant pressure on myself is not good for not only my mind but my body. According to Web MD, 10 diseases that are stress related include heart disease, asthma, obesity, diabetes, headaches, depression, gastrointestinal problems, Alzheimer’s disease, accelerated aging, and premature death. I was surprised to read online that I have the same issue Hugh Jackman used to have. Hugh Jackman practices Transcendental meditation to help with his restless need to always be doing something. The David Lynch Foundation has found Transcendental meditation helpful in schools, prisons, helping veterans, HIV wellness, helping women recapture their worth after suffering any form of domestic violence, and the homeless. Forbes even recommends the use of Transcendental Meditation. It is different from mindfulness and involves concentrating on a mantra (a word without any meaning) to slow down traffic in your mind. Hollywood is a constant reminder of our need to keep our minds healthy. Chris Cornell’s suicide was a shock for fans who were anticipating Sound Garden’s new album with the latest resurrection of grunge. Cornell was taking anti-depressants. Every day we see an ad for anti-depressants at least once a day. Whether we are on a website or watching television or a movie at the theater, there’s an ad for antidepressants. At the end of every ad are the words could cause depression and suicidal thoughts. Sometimes even death. Before we try any of the pills we have the option of different diets we can try and new ways of thinking such as meditation. I bet you can name more than one diet. There are just as many forms of meditations for you to try out there. If you’ve tried meditating and found it is not for you, you may not know there are 23 different ways to do it. Meditation is the practice of taking control of your state of mind and accepting control of your world. In the song Man in the Mirror, Michael Jackson reminds us “If you want to make the world a better place, take a look at yourself and make a change.” We can’t help anyone without helping ourselves first. Every journey starts within. For example, when we lose weight from a diet it’s not just because of the diet or the workout you are doing. It’s the will to change within you that brought about all your actions to change your life. Meditation is looking at yourself and decided I will no longer blame anything or anyone for my inability to succeed. I have all the tools I need to be successful because I will not allow anyone or anything to stop me. We can use meditation to explore what will make us complete. Meditation is like dating…change your inner dialogue. It’s like dating, but you’re on a date with yourself getting to know you. When I first started my self-love journey I found it helpful to ask myself if I would talk to a friend with the same inner dialogue I talk to myself with? You’ll realize your inner dialogue needs to be healthier. Would you tell a friend they can never lose the weight? They’ll always be fat? No. A shift in my inner dialogue would need to begin. For example, I love my body so I’m going to workout today and eat healthily. Why is changing your health important to you? When you doubt yourself you need to have ready the reasons why you do this. We’ve all met the person who thinks the world hates them. We’ve all seen their attitude they give to the world. Do you want anything to do with this person? Do you want to help people like this who come into your job? These people send the vibration it’s your fault without even opening their mouths. We can’t wait until they leave. Plus, they make us feel like we aren’t trying to help them. They are not open to us to help them and leave just as upset as they came. They came in expecting unhappiness and left with some more of it. We get from the universe whatever we expect. It’s best to walk into every situation expecting the best. Meditation has a history worth 3,500-5,000 years. After reading about 76 scientific benefits to meditation I had to give this transcendental experience a try. The benefits of meditation are not only physical but mental. When you increase your concentration you are also increasing the concentration of gray matter in your brain. Scientific research found continuously studying meditation for prolonged periods of time showed not only the increase of gray matter but a larger hippocampal and frontal volumes of gray matter. As we get older our cortex shrinks, but it doesn’t have to. In one region of the frontal cortex, it has been found 50-year-olds who meditate have the same amount of gray matter as 25-year-olds (Giovanni). -Mindfulness is helpful for patients with Fibromyalgia. Focus your attention on the breath and on how the body moves with each inhalation and exhalation. Notice the movement of your body as you breathe. Observe your chest, shoulders, rib cage, and belly. Simply focus your attention on your breath without controlling its pace or intensity. If your mind wanders, return your focus back to your breath (Inner Idea). How do you breathe while you meditate? Make sure you are breathing in through your nose and out through your mouth. Maintain this meditation practice for two to three minutes to start, and then try it for longer periods. If every day you plant the seeds, success can grow from them (Inner Idea). Patience is important for meditation. You can’t expect magical immediate results. Meditation involves breaking a bad habit of not being aware of the current moment. We often find ourselves scared of the past or future. Being able to live now, in the moment, takes practice. Adding a healthy change to your day is a lifestyle change. With advances in technology to remind us to keep performing a healthy habit, it is easier than ever to stay on a diet, exercise, and take care of our minds. Here are some awesome apps to help you start your meditation practice while you are on the go 24/7. ✓ Full-featured, no in-app or buy requirements. ✓ Lot of configuration options (counts, bell, auto exit etc.). ✓ Capable of generating binaural tones. ✓ Detailed information on all chakras provided. ✓ Play mantras & tones endlessly or a fixed amount. ✓ Meditation training instructions for beginners. ✓ Handy reporting features to track and analyze your meditation. ✓ Capable of playing audio in the background. ✓ Pauses chant on receiving phone calls. ✓ Sort and hide chakras to make custom meditation routines. ✓ Can play with screen off and does not drain the battery. ✓ Provides chakra info in Hindi as well. ✓ Small install size and requires no special device permissions (Panagola). Highest rated app for creating a meditation practice. Great for beginners. Omvana has a meditation for beginners course. App from Mindvalley. – 1000s of high-quality audio tracks, ambient sounds, binaural beats, and narrated guides. – Your own Omvana mixing board – mix and match any two of your favorite tracks. – Narrated lessons and guides by inspiring thought leaders, like Bob Proctor, Laura Silva and Martin Luther King, Jr.
– Sleep better with access to a powerful library of Sleep enhancement sounds. – Deepen your experience with a library of calming ambient tunes and background sounds, featuring cutting-edge binaural beats technology. – Transform and grow with access to powerful guided visualizations for every aspect of your personal growth from many best-selling authors. – Mix and match custom tracks to help you effortlessly achieve your goals – stress relief, better health, heightened focus, even wealth and abundance (Omvana: Meditation, Yoga Sleep). iPhone and Android App with plenty of free material. 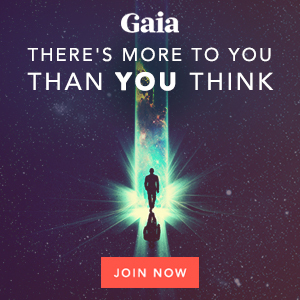 With over 11 hours of custom meditations for 15 different parts of your day. Whether you are traveling, being online, taking a work break and going to sleep, buddify gives you a simple but effective way to bring more mindfulness and calm to your busy day. – 80+ custom guided audio meditation tracks. – Tracks are designed for 14 activities such as sleep, work & difficult emotions. – Tracks range from 5 – 30minutes. – Integration with HealthKit so you can track your meditation alongside other activities. – Check-in system allows you to measure how you’re doing. – Stats showing your usage and progress. Android and iPhone and iPad compatible (Mindfulness Everywhere). 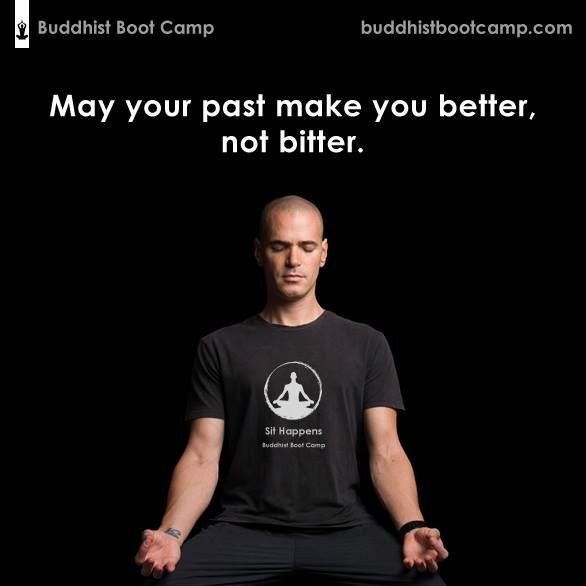 App by Andy Puddicombe, a former Buddhist monk. Lessons on: guided meditation, fundamentals of meditation, and how to turn everyday activities into mediation. Great blog posts on benefits of meditation. Their company provides meditation time for workers. They can train your company to meditate. First 10 lessons are free. Available for iPhone and Android and iOS (Headspace meditation limited). – Practice: Access daily guided meditation content. – Act: Witness Compassion in Action. Discover humanitarian projects. Oprah Winfrey, Deepak Chopra, and Chopra Center Meditation present the “Oprah & Deepak’s 21-Day Meditation Experience” mobile app. Get easy access to the complete online experience from chopracentermeditation.com, including your already purchased meditations. • enjoy the free program when available. • listen to the meditations in your library. • write in your personal journal. • stream or download your meditation products anytime, anywhere. iPhone and Android friendly (Chopra Enterprises LLC). exercises focus on compassion, sleep, depression, and anxiety. You can track your progress throughout the year. iPhone and Android (Stop Breathe, and Think). Teaches meditation to ages as young as 7. Perfect for the classroom. Has grade levels. iPhone and Android Friendly (Smiling Mind). No ads, no tracking, no analytics- not conducive to mindfulness. Rings a bell at a specified interval or random intervals to keep you grounded throughout your day to concentrate on the current moment. We can get lost in yesterday and tomorrow. The app does not need to be open for alarms to go off. Available on iTunes app. Also iPhones and iPads. Chopra Enterprises LLC. Meditation Experience. Giovanni. Scientific Benefits of Meditation- 76 Things You Might Be Missing Out On. Headspace Meditation Limited. Headspace: Guided Meditation and Mindfulness. Inner Idea. Meditation 101: Techniques, Benefits, and a Beginner’s How-To. Mindfulness Everywhere. Buddify- Modern Mindfulness for Busy Lives. Imagine Clarity. https://vimeo.com/user49277375. 26 June 2017. Stars Practicing Transcendental Meditation. https://www.youtube.com/watch?v=cK6uh-lgu0w. Wikimedia Commons. http://izquotes.com/quote/26676. 26 June 2017.